Summer Menu at Lazy Bear. Summer is without a doubt one of the best times of the year for amazing fruits and vegetables. Not only is summer a great time for produce in general but here in California we are extremely fortunate to have a plethora of diverse ingredients. 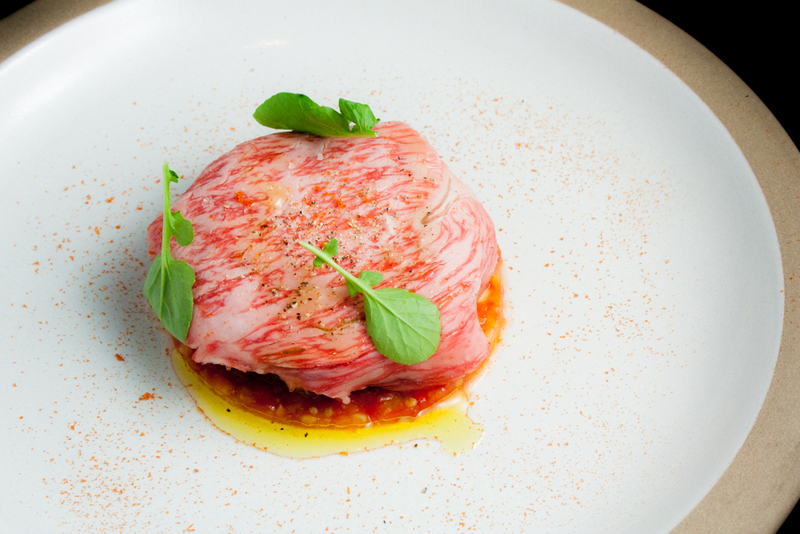 At Lazy Bear, we always want to take advantage of seasonal ingredients and summer produce is no different. We’ve been running this new current menu for almost a month now but we’re planning to change some of the dishes by the end next week. Here is the current menu at Lazy Bear including some of my personal photos as well as professional photos of our dishes! 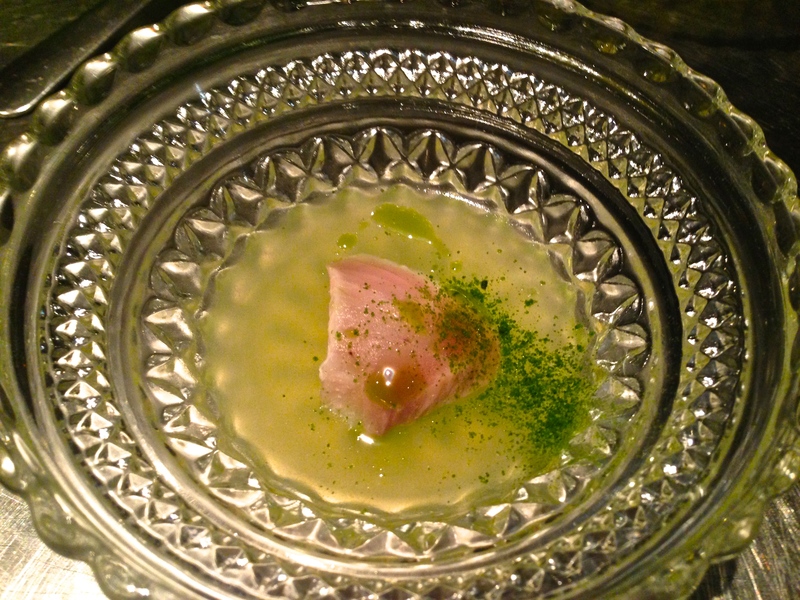 Gaila Green Melon Gelée with Marinated Horse Mackerel, Sour Gherkin Cucumber, Cucumber Skin Salt, and Charred Cucumber Oil (Currently We Changed this Dish to Raw Shigoku Oyster Instead of the Mackerel). 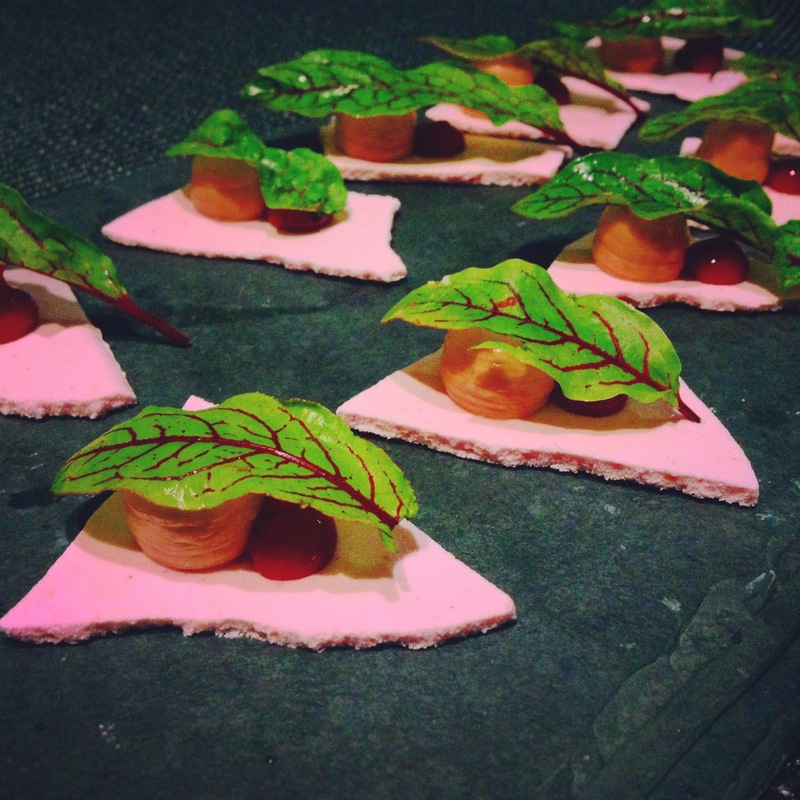 Strawberry Meringue with Foie Gras Mousse, Strawberry Gel, and Red Veined Sorrel. 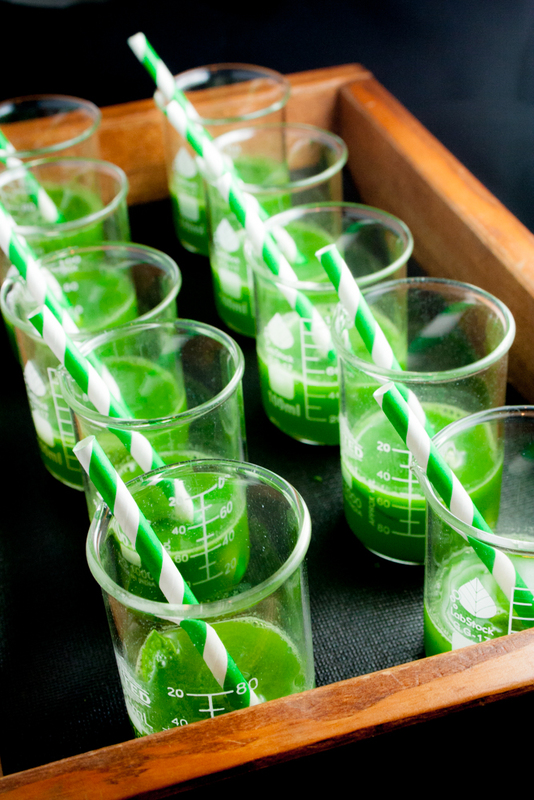 Cucumber and Lemon Verbena Soda. 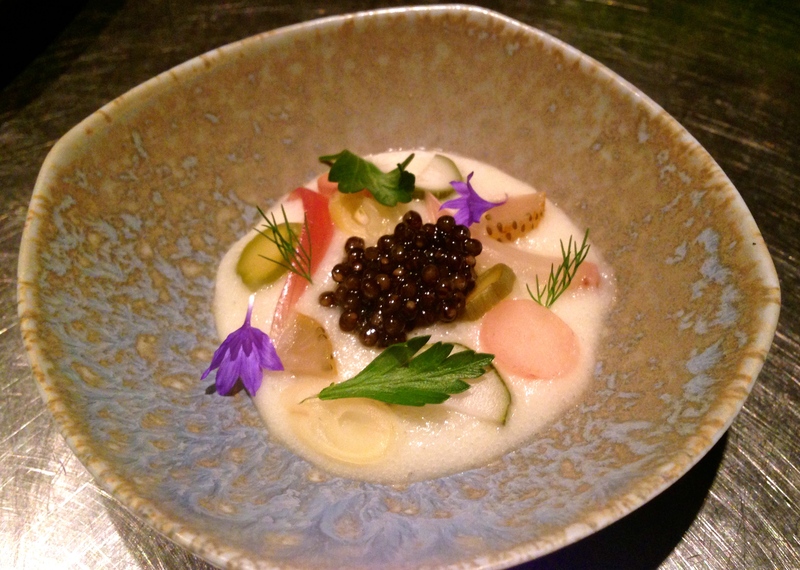 Fermented Potato Mousse with Various Pickles and Caviar. 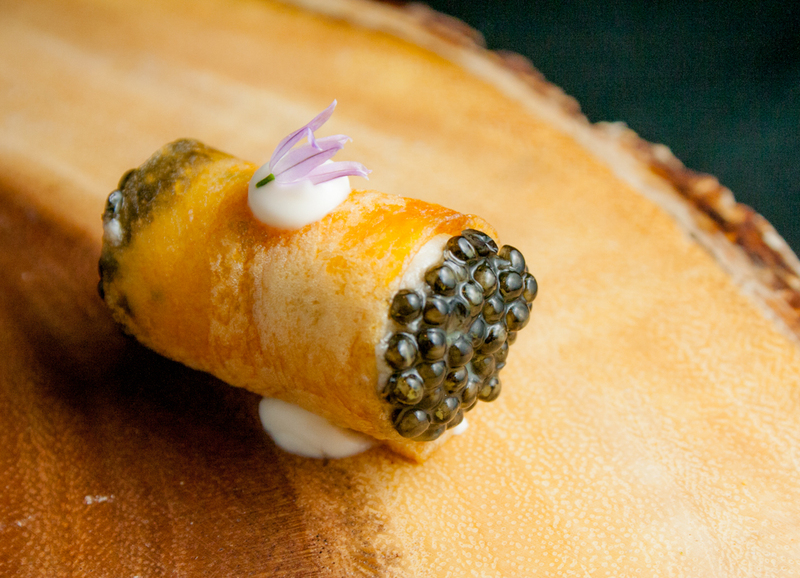 “Sour Cream and Onion Chip”: Fried Potato Cannoli filled with Homemade Crème Fraîche and Chives with Caviar (New Snack Instead of the Potato Mousse). Tomato Panzanella with Miyazaki Ribeye Beef Carpaccio, Seaweed Focaccia, Padron Pepper Aioli, Avocado, Tomato Powder, and Anchocress. 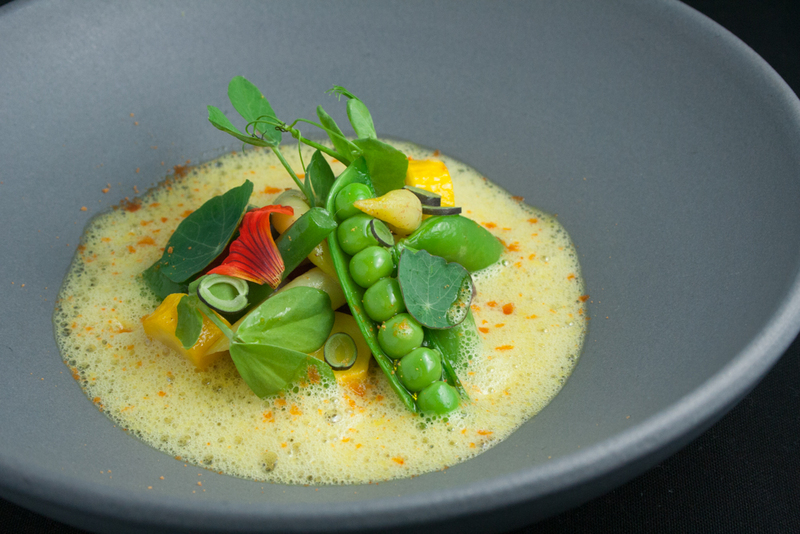 Various Legumes with Summer Squash, Bell Pepper, Saffron and Fennel Nage, and Cured Spot Prawn Roe Powder. 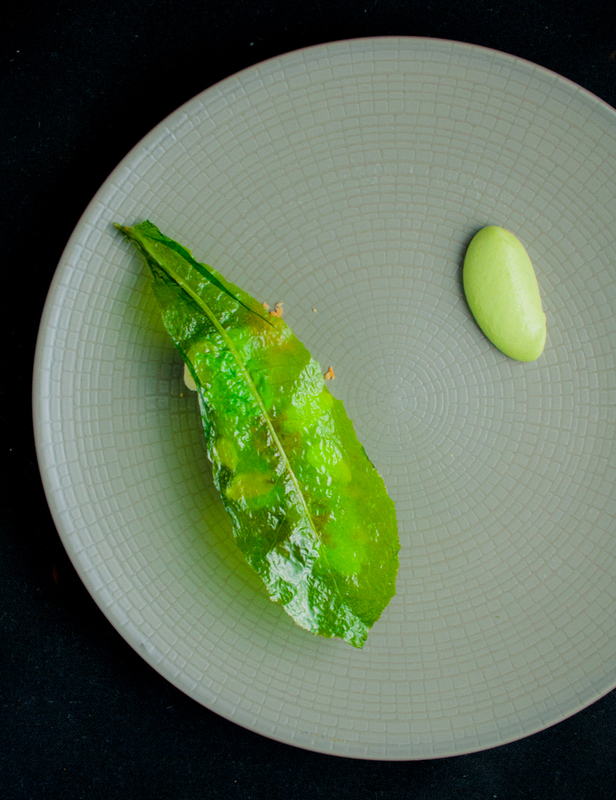 Celtuce with Almonds, Chicken Skin Crumble, and Celtuce Leaf Chip. 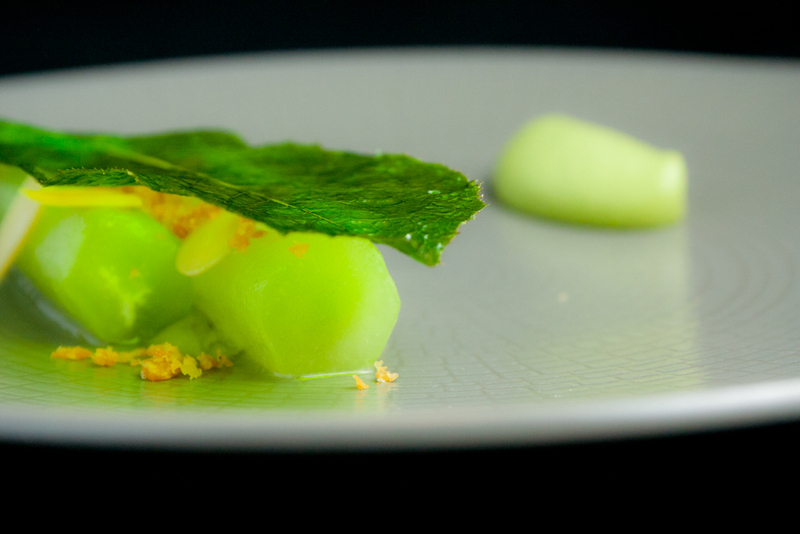 Another View of the Celtuce Dish. 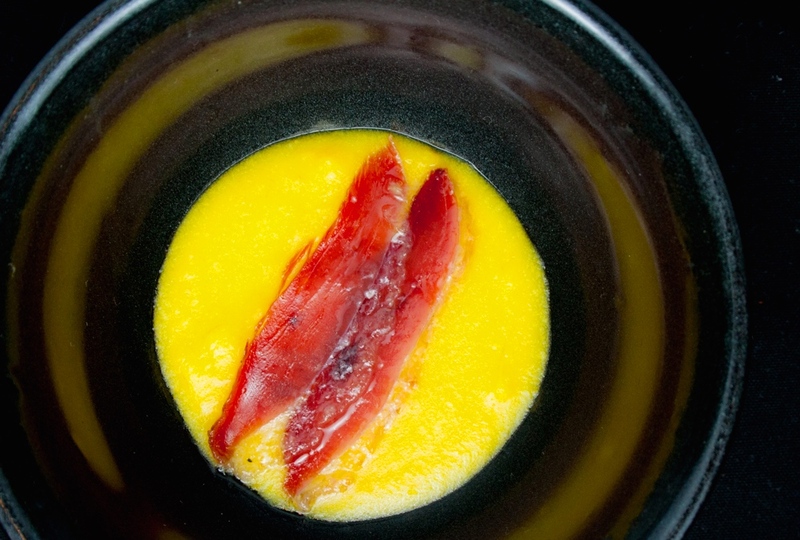 Fresh Yellow Corn Grits with House Cured Duck Prosciutto. 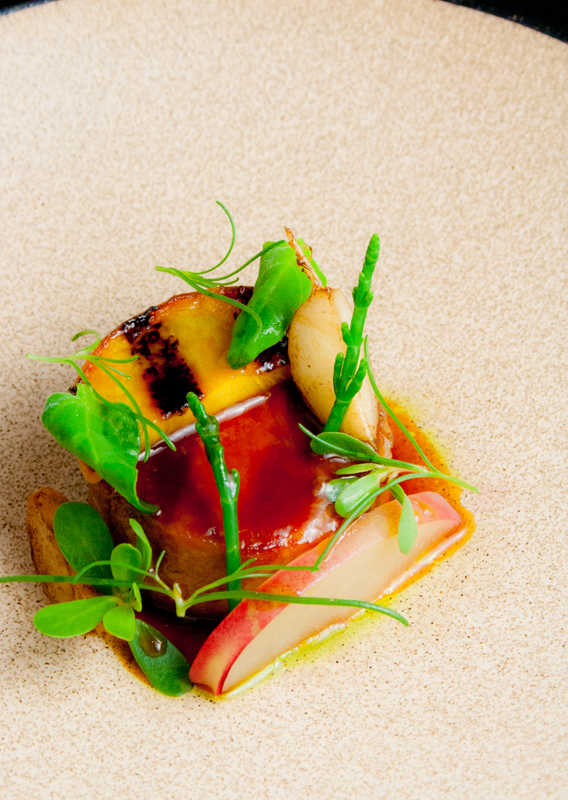 Brined and Sous Vide Pork Shoulder Glazed with Stone Fruit Tare with Grilled Yellow Peach, Pickled White Nectarine, Smoked Tokyo Turnips, Sea Beans, and Peach Leaf Oil. 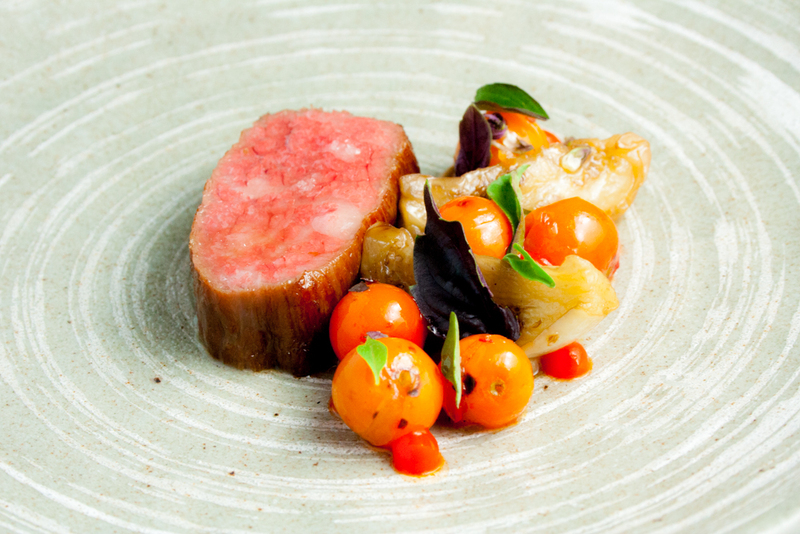 Miyazaki Ribeye Beef Cap with Eggplant, Sungold Tomatoes, Fermented Bell Pepper Gel, and Opal and Thai Basil. 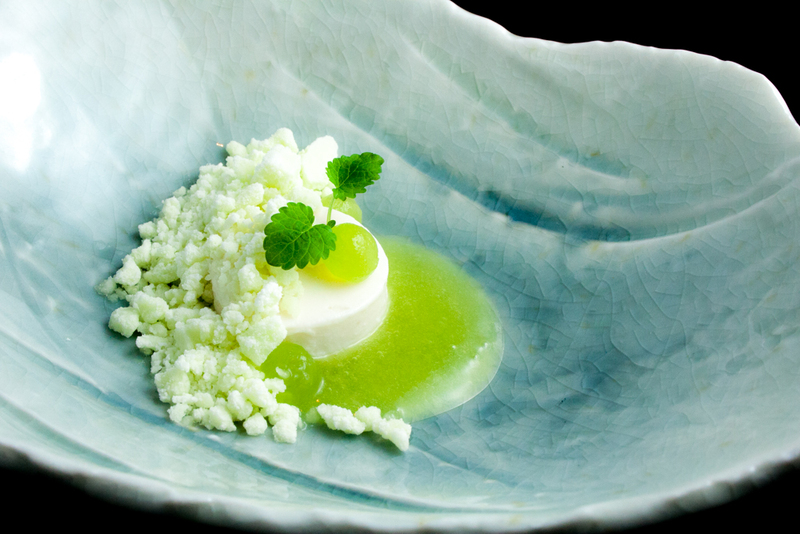 White Sesame and Sake Lees Goma Dofu with Canary Green Melon Fluid Gel, Green Melon and Rose Geranium Ice, and Lemon Balm. 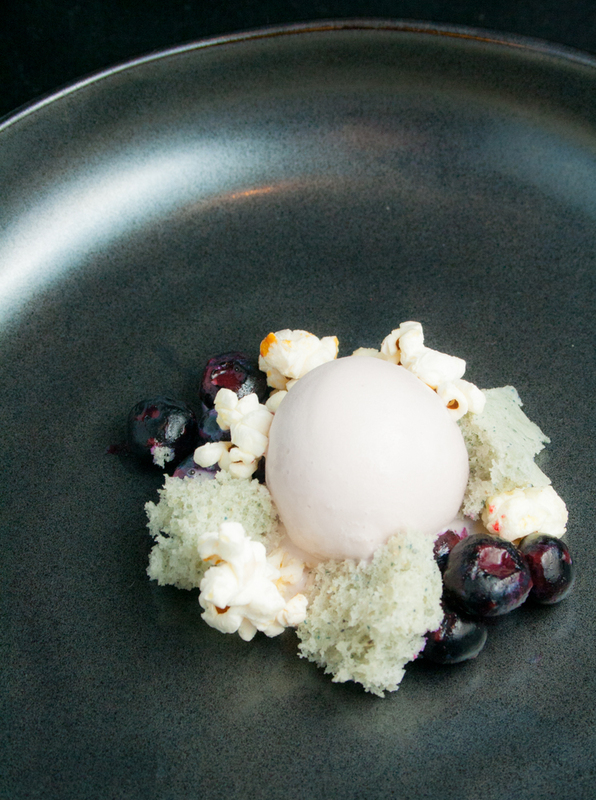 Blue Corn Cake with Whiskey Pudding, Blue Corn Ice Cream, Blueberries, and Kettle Corn. 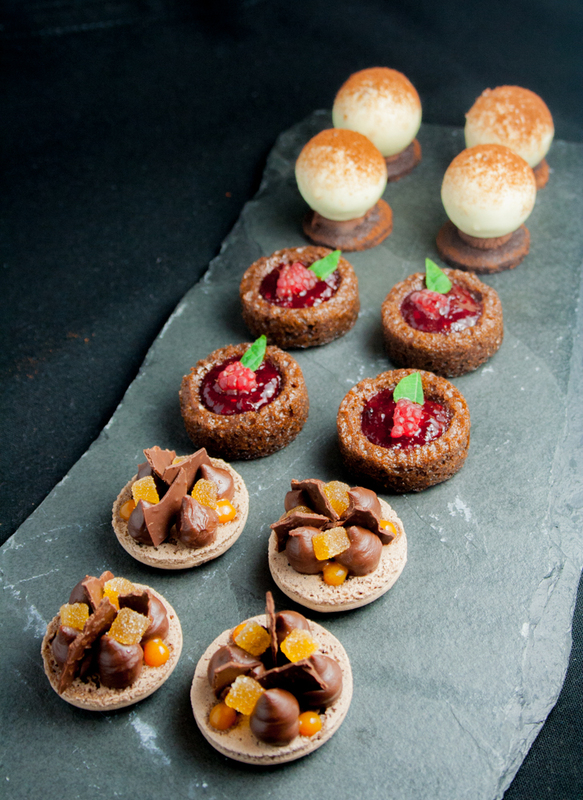 Treats: Cocoa Macaron with Apricot Gel, Apricot Pâte de Fruit, and Gianduja Ganache. Red Velvet Cake with Cream Cheese and Raspberry Jam. Vietnamese Coffee Semifreddo with Graham Cracker. 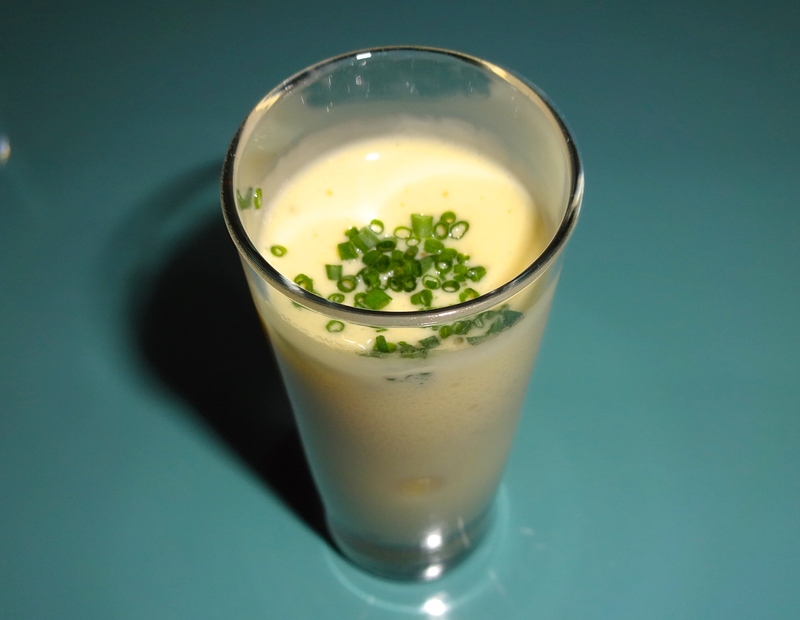 Right now I’m still in charge of making the whipped scrambled eggs as well as the foie gras snack. I also prep ingredients for the oyster snack and legumes course. 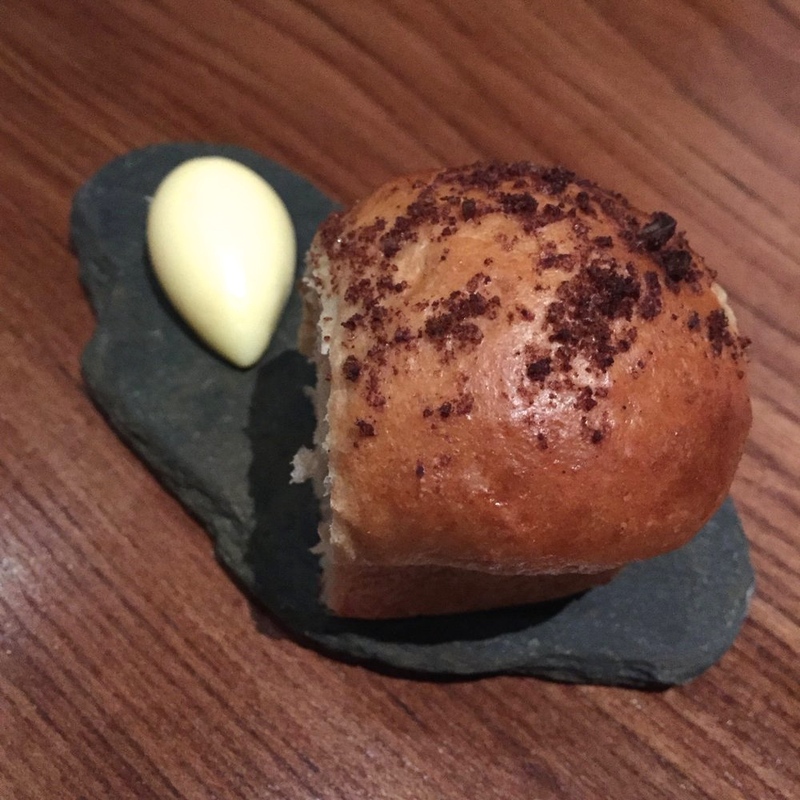 Next week, the chefs are planning on changing the foie gras, oyster, and legumes course so I’m excited to see what new dishes we’ll have on the menu!